Located in Petaluma, CA, St. Vincent de Paul High School is a Roman Catholic, college preparatory high school that is focused on nurturing each student’s talents and developing well-rounded individuals. The school offers a wide variety of electives, honors classes, and extra curricular activities, while teaching about the principles of faith and community. 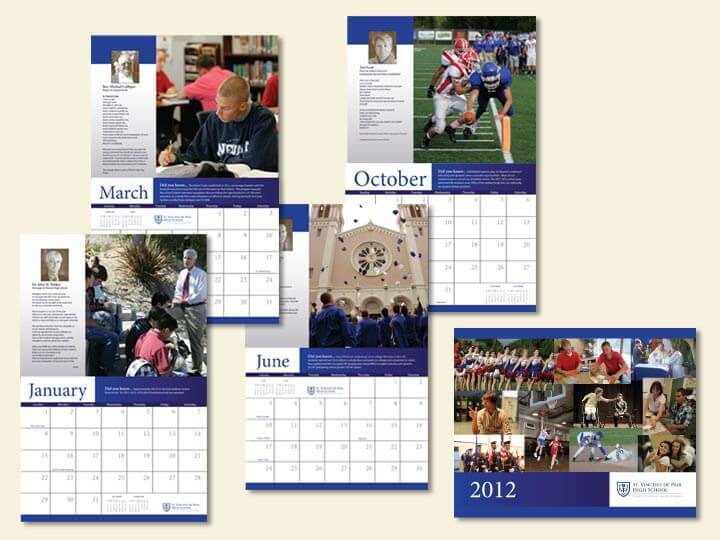 Each year, their design needs are great from admissions literature and event signage to a variety of specialty pieces and marketing collateral. Working with 23seeds as the marketing lead and creative director, we have designed a wide range of projects since 2011. 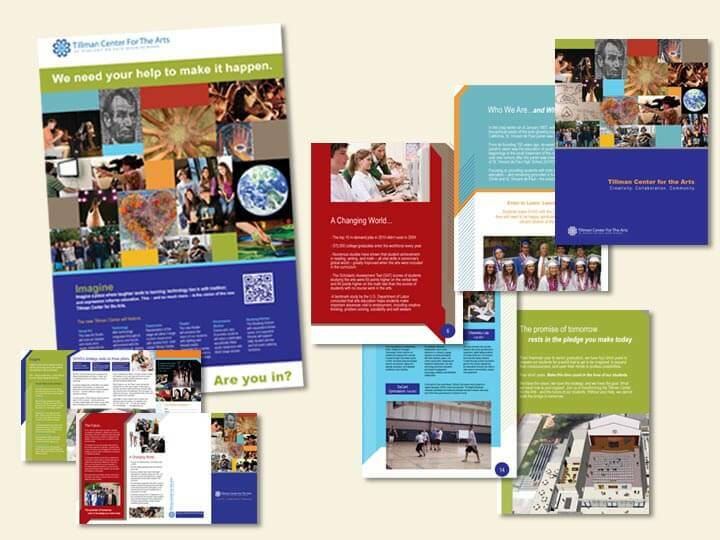 Projects completed include banners, postcards, posters, Admissions brochure, Capital Campaign promotional materials, signage, calendar, financial update, print materials for events, and more. 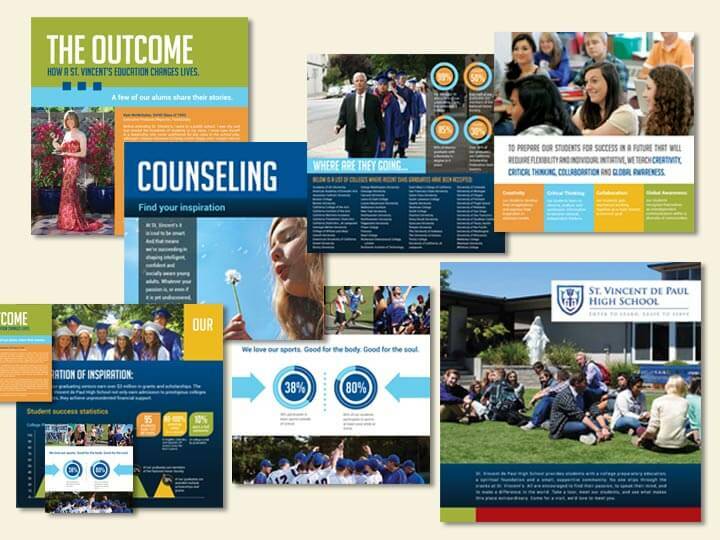 Each project follow the school’s brand guidelines and/or the established campaign look and feel to keep branding consistent across the board. Lynx Imaging is a full-service branding and design firm that works with small businesses to define their brand and build visual assets, creating a professional image for both print and online. We are focused on VISUAL IDENTITY + DESIGN to help you make a good first impression and better compete in the marketplace.